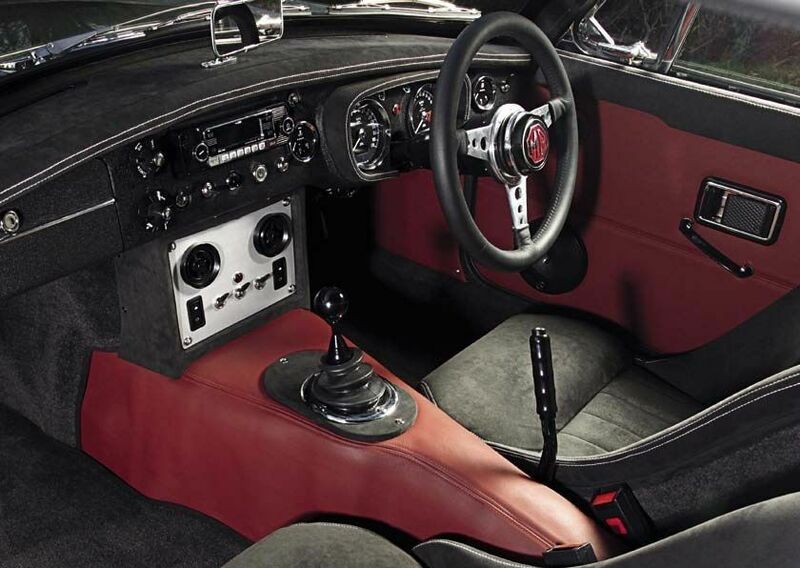 Additional Info: Built by Frontline Developments, who are known for updating and modifying classic British sports cars. There will be 50 LE50 MGB cars built to celebrate 50 years of the MGB with full approval of British Motor Heritage Limited. It is a coupe that features a new BMH body shell, with just 2 seats, a modified 215bhp 2.0 litre MX5 engine, an MX5 gearbox, a live axle with adjustable coilover at the rear and adjustable telescopic dampers at the front, billet alloy 4 piston front brake calipers with ventilated discs and stainless steel braided Goodridge hoses . It also gets Wilton carpets, Dynomat sound deadening, Dynalier heat insulation, use of Connely for doors/panels, Smith instruments, a classic style steering wheel, central locking, electric windows and rear heated window. Some of the options include a winter pack containing heated seats, windscreen and wiring looms, an LSD, keyless entry, A/C, chrome wire wheels, leather seats, PAS, rear seats, LHD option, cruise control and a storage rack.